Little Frog wants Dragonfly Mug 8 oz. 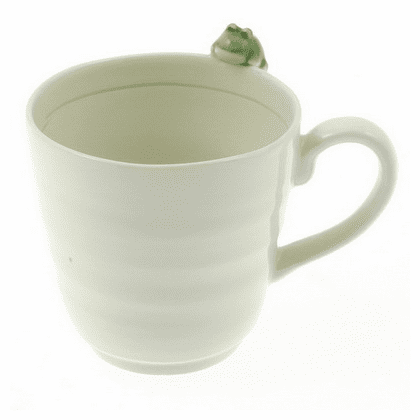 Home | Ceramic Tea Cups & Mugs | Ceramic Coffee & Tea Mugs | Little Frog wants Dragonfly Mug 8 oz. This little frog is desirous of the dragonfly in the cup. 3-3/4binches in diameter by 3-5/8 inches tall, 8 ounces capacity.